Congratulations to Mt. 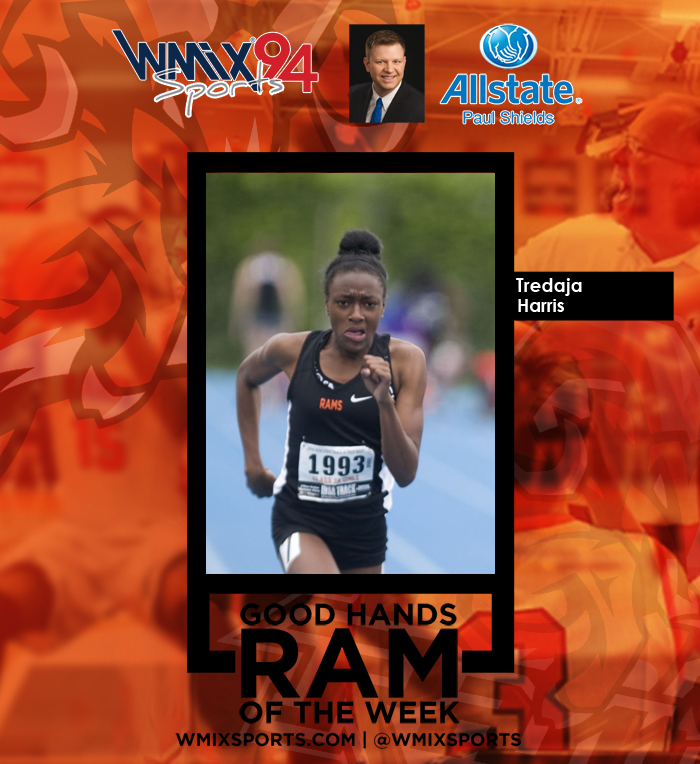 Vernon Lady Rams Track & Field’s Tredaja Harris! Tredaja qualified for state out of the Herrin Sectional in both the 100-meter and 200-meter dashes. Harris would go onto finish to finish 5th IN THE STATE in the 100m and followed that up with a 3rd PLACE FINISH in the 200m! What a season for Harris! This follows up a championship in the 200m at the Illinois Prep Top Times meet in Bloomington earlier in the season!